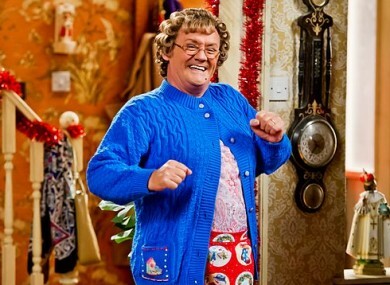 MRS BROWN’S BOYS D’Movie was the highest-grossing release of the year in Ireland, netting over €3.8million on home soil. It raked in €18.3 million overall and it’s understood that talks are already underway regarding two sequels. Ms Brown also did great on the small screen this Christmas – with 7.61 million viewers tuning in on Christmas Day in Britain (beaten only by the Queen’s speech). The other films which ranked high in Irish cinemas this year were The Lego Movie and Gone Girl. Email “Ms Brown got more Irish bums on cinema seats than any other film last year”. Feedback on “Ms Brown got more Irish bums on cinema seats than any other film last year”.